To your left and to your right are massive red beams with blackened footings. Above you, too, are red beams with sparklings of sunlight filtering through in between. The color, called shuiro in Japanese, is said to represent the sun. The torii gates tower above you, but lessen in number as you ascend the mountain. When you reach the Yotsutsuji intersection, halfway up the mountain, all of Kyoto sprawls before you in a breathtaking panorama. 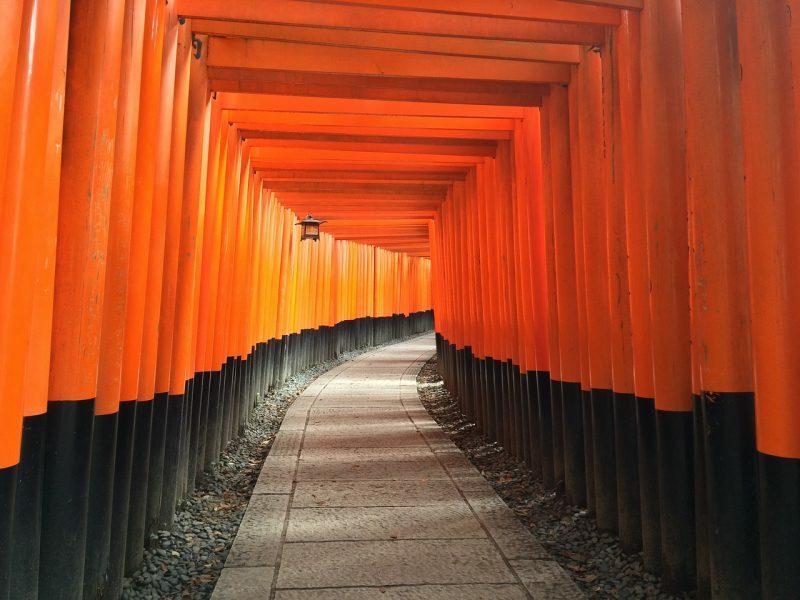 This is what a trek on the hiking trails of Kyoto’s Fushimi Inari shrine is like. 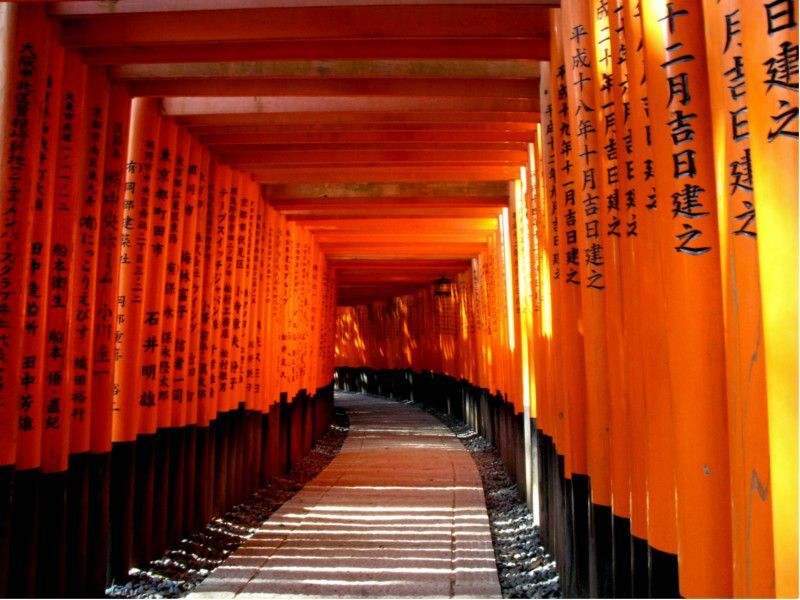 The Fushimi Inari Shrine is considered one of the top attractions for foreign visitors to Japan. Why? It captures quintessential elements of Japanese culture, religious, architectural, environmental, and culinary. It has also been featured in popular films including Memoirs of a Geisha, and it is one of the area’s best free attractions. 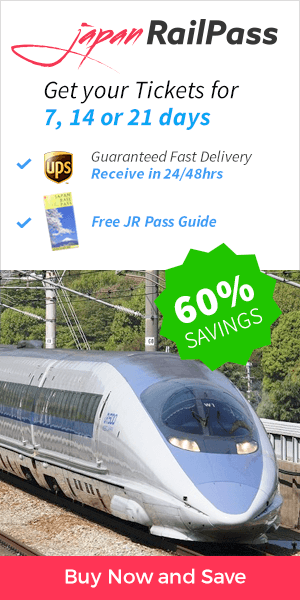 It is the perfect complement to your Japan Rail Pass. Fushimi Inari is one of several thousand Japanese shrines devoted to Inari, the Shinto god of rice, grain, abundant crops, success in business, and fortune. It is also the most important of these shrines. Fushimi Inari is an ancient shrine. It predates the move of the Japanese capital to Kyoto in the year 794. It was founded in 717 and moved to its current location in 816. Fushimi Inari is located in southern Kyoto, just outside the JR Inari Station. From Kyoto Station, take the JR Nara Line. Inari Station is the second station along this line, and the trip takes about five minutes. The fee is completely covered by the JR Pass. Alternatively, it can also be reached from the Fushimi-Inari station on the Keihan main line, but it is slightly farther from the entrance to Fushimi-Inari Shrine and is not covered by the JR Pass. 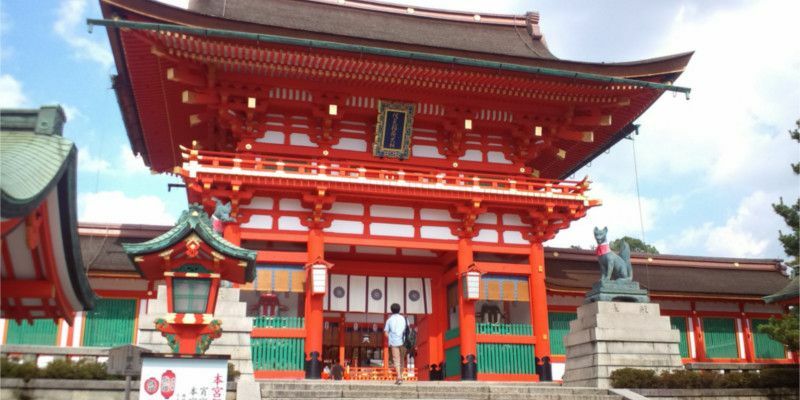 If you want to visit Fushimi Inari from Osaka, You can go from Osaka to Fushimi Inari by going up a Shinkansen in Shin-Osaka to Kyoto Station on the Tokaido Shinkansen line and, from there, go by the JR Nara Line to the Inari station. All the trip is covered by the JR Pass. As the JR Inari station is on JR Nara Line, you can reach Fushimi Inari from the JR Nara Station. This is a direct trip that will take you a little less than 1 hour, passing by Uji Station. The shrine is always open, even on weekends and holidays. It is staffed between 9 am and 5 pm. Admission is free. Having no entrance fee is a unique feature among Kyoto’s shrines. To avoid the crowds, we recommend visiting Fushimi Inari Shrine early in the morning, between 7 and 8 am or during the night. When you arrive at Fushimi Inari, you will walk beneath a giant torii gate at the shrine’s entrance. Next, you will see the Romon Gate, which in the year 1589 was donated to the shrine by Toyotomi Hideyoshi, a famous general of that time. Shrine buildings with unique architecture lie beyond. Visitors are expected to pay respect to the deity by making a small offering at the shrine’s main hall, or Honden. In addition to the majestic torii gates – over 32,000 in number – you may notice a number of fox statues when you visit Fushimi Inari. 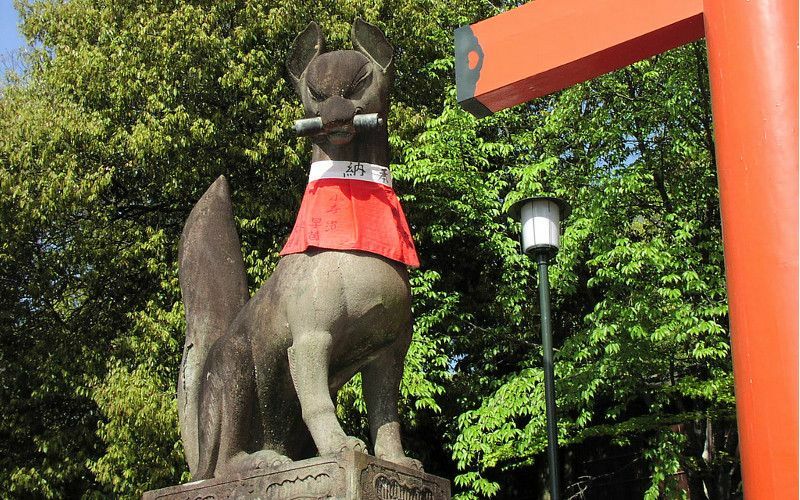 Foxes, called kitsune, are thought to be the messengers of the god Inari, so they are also honored at his shrine. Thousands of torii gates straddle the trails that connect the main buildings of the Fushimi Inari Shrine. The trails also diverge into the nearby forest at the base of the sacred Mount Inari. The entrance to the hiking trail is located at the back of the shrine’s main grounds. The beginning of the parallel trails is covered by densely packed rows of torii gates called the Senbon Torii, meaning “thousands of torii gates“. Many of the gates were donated by individuals or companies, the names and dates of which are inscribed on the back side of each gate. Hiking to the summit of Mount Inari takes two to three hours round trip. Trails are well marked, but you can view the map above. Along the trail are many smaller shrines; many of these include miniature torii gates donated by visitors. Several restaurants are also located along the trail, featuring Inari and fox themed dishes. Many of these include aburaage, or fried tofu, thought to be a favorite treat for foxes. Would you like to leave your mark on the Senbon Torii? The cost of donating a torii gate starts at around ¥400,000 (just over $3,500 USD). The largest gates require a donation of over one million yen (almost $9,000 USD). The miniature gates left at shrines along the path can be purchased for ¥2,500, or about $22 USD. Since the shrine does not close, you can hike the trails at night. Be sure to bring a flashlight, and dress warmly during fall, winter, and spring. Many people feel that the solitude of a nighttime hike makes this an ideal time to visit the shrine.